Andrea signed a petition about the right to vote for persons with disabilities to vote. 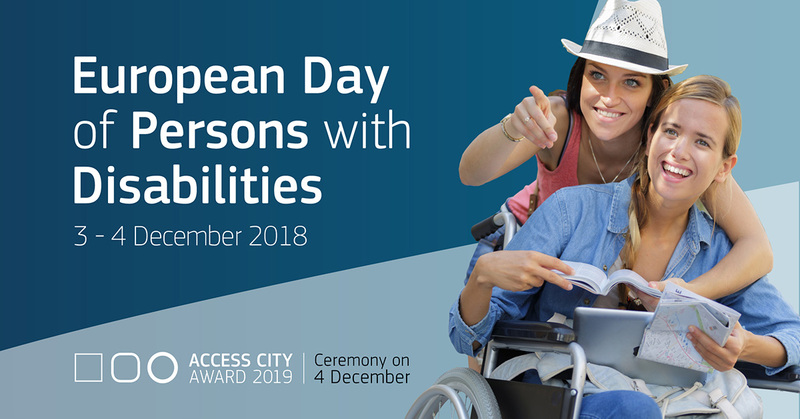 The annual conference on the European Day of Persons with Disabilities took place on 3-4 December 2018 and was hosted by the European Commission, in partnership with the European Disability Forum (EDF). 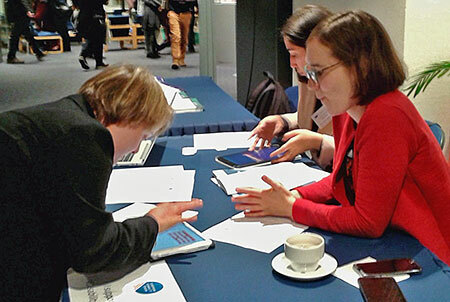 EDSA is member in EDF and Andrea Halder from Germany was asked to represent EDSA at this important event in Brussels. She was accompanied by her mother Cora Halder, who is a board member of EDSA. Also Pat Clarke, EDSA’s president attend the conference. Two other young adults with Down-Syndrome from Ireland were among the three hundred delegates. This conference is part of the EU’s wider efforts to promote the mainstreaming of disability issues and to raise awareness of the everyday challenges faced by persons with disabilities. Politicians, high-level experts and self-advocates were present in order to discuss the challenges, the solutions and the projects that are being prepared for improving policies for persons with disabilities. The next European Disability Strategy was discussed as well as its implementation especially in the context of the next Multiannual Financial Framework. As 2018 was also the European Year of Cultural Heritage the other topic on the agenda was the accessibility of cultural heritage. Some interesting speeches showed what cities or institutions have done to become really accessible for people with disabilities f.i. the Louvre museum or the city of Salzburg. The this year’s City Awards went to Breda in the Netherlands. Évreux in France and Gdynia in Poland are the second and third place winners. A special mention went to Kaposvár in Hungary and Vigo in Spain.